Today, I'd like to talk about a really big 666 connection. But before I do that, I would like to provide a brief update on the EU's Rome Declaration, celebrating its 60th birthday today. The main takeaway from the Rome Declaration is that it formalized the intent of the member states to move at "multiple speeds." This means if all 27 don't want to integrate at a certain pace, smaller groups of at least 9 can go ahead, as long as it doesn't overstep what the Treaties already allowed. PESCO, cooperation in defense, does not require 9, and is a common instance where scholars say the EU can move at multiple speeds. I go into more detail on a recent Parliament resolution on the last blog post, with some interesting implications PESCO might have in the prophecy arena. Found the top one on accident. 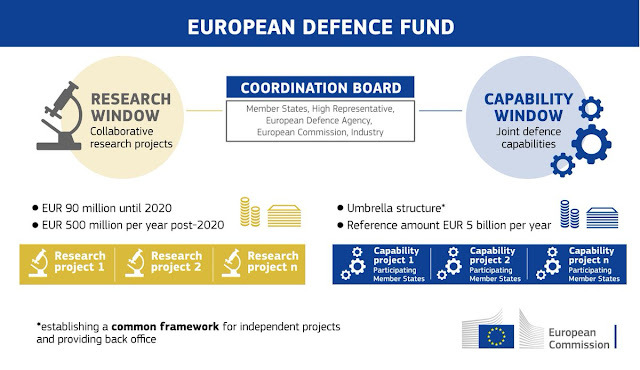 "European Defence Fund" are the only words in English. The rest are in Italian. I translated the article, and didn't find any significant new information. 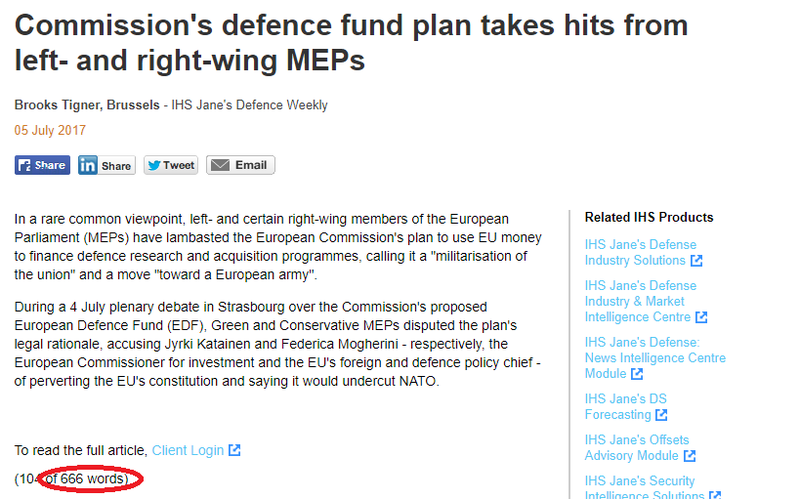 Although I thought of writing a blog post about European Defence Fund, it didn't seem terribly significant at the time. ...then I googled "European Defence Fund 666" and found this. This amendment has "PE595.666.v01-00" on the footer of every single page. Furthermore, if you look at the amendments for "Paragraph 6, you see three sixes for every proposed alteration to the recommendation. The "paragraph 6, draft 6, amendment 6" shows up about 5 times. (see pages 22-26). 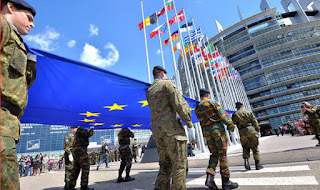 "Believes that, in the long term, the EU should explore the possibilities of, and aim at, a common budget, including the command structure, joint operations and equipment, as well as a proper EU programme for CSDP research, taking into account the specificities of the defence sector; looks forward to the presentation of the Commission’s proposal for a European Defence Fund;"
From the previous version, document PE595.666v01-00 drops the "EU integrated military forces" from the language, instead focusing on the budget/European Defence Fund aspects. So here, it looks like we have a triple-validated 666 connection with the European Defence Fund. What is the European Defence Fund? The EDF has two sections. The first section is a military research and development program. From now until the start of the next 7 year period, it will be financed with 90 million euros. Starting 2021-2027, it will be financed with 500 million euros annually. The second section is intended to "turbo-boost" defense spending. It gives bulk discounts to member countries who want to buy the same equipment together. As much money as they spend on the group projects, they get that much written off from the EU's budget requirements. So basically, the first section is a 7-year component that pays for military research and innovation. The second section just convinces member states to buy a bunch of army equipment and get bulk discounts on weapons and vehicles. 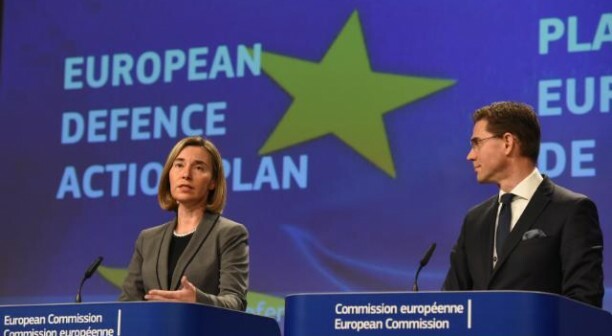 Since it is framed around the EU's budget, the first section will be a 7-year program. Other than that, the European Defence Fund isn't more interesting than any other EU defence program as far as prophecy is concerned. I don't know if I've found anything so "authenticated" in a 666 connection before. It seems God uses this number as kind of a bread-crumb trail, or a highlighter to look at events that he knows are important. (Otherwise, why would we pay particular attention to the EDF)? In the past, major 666 connections have been attached to fulfillments of prophecy relating to Javier Solana, or just to Solana himself. Since this is "triple authenticated" I think it behooves us to inquire of God what it means, and do our best to search it out. What does Solana think of the European Defence Fund? He has a surprisingly critical attitude towards it, saying it's not good enough. He has an entire article written with Steven Blockmans, stating that it's no "game-changer" and its not good enough to build the "military-industrial complex" that is desired. If he is the Antichrist, this is entirely expected, because of this passage. Many theologians see the "god of fortresses" as a metaphor for military might. This makes sense, since immediately prior, it emphasizes that he doesn't honor any god besides himself. How does he honor this god? With "precious stones and costly gifts," which is essentially money. Now let's think about this. The Antichrist serves the "god of fortresses" with money. Fortresses are much better at defending things than attacking them. To tie it all together, he serves a metaphoric god of defense using money. Basically, the Antichrist is preoccupied with defense spending. 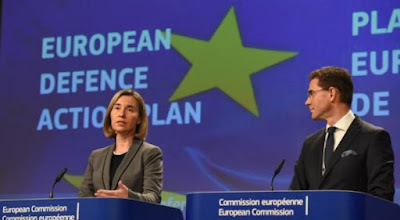 The financial component has always been a big part of the "European Defence Union" Solana has been proposing. Solana is pre-occupied with building a "military-industrial complex" for Europe. 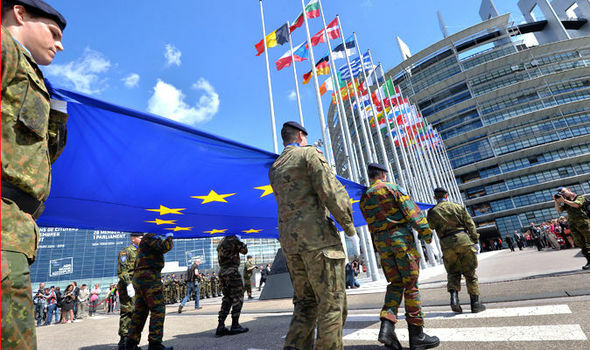 As the European Parliament pointed out in their final resolution, the EU needs to clear up how the European Defence Fund will be governed and financed. The European Defence Fund will be led by a coordination board of the High Representative, member states, industry members, among others. This org structure has not been entirely defined as of yet, so it's possible Solana could play a role, but that is speculative at this point. I have another blog post to write immediately after this one. (Ideally, also will be written today or tomorrow). While I debated making it part of this one, I think it warrants a separate post. That can be viewed as a stand-alone "Part 2" to this blog post. That's all for now folks. Thanks for watching and would love to hear from you all as always! Thank you for your kind words and watchfulness!